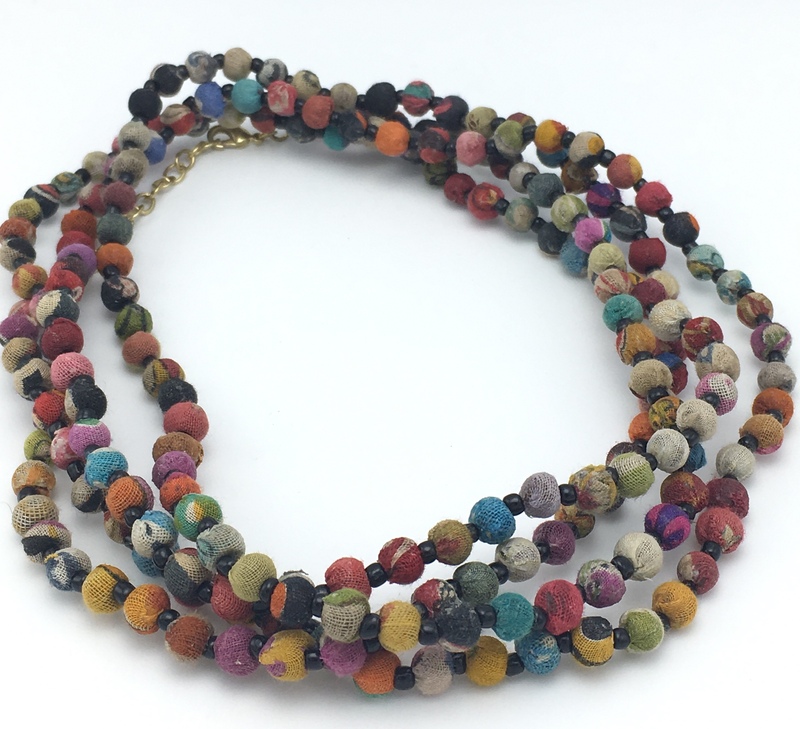 Kantha Wrap, featuring one long strand of colourful Kantha beads. 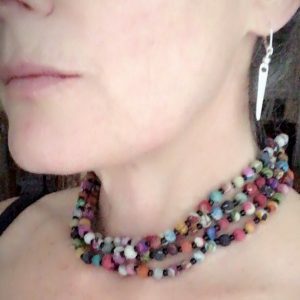 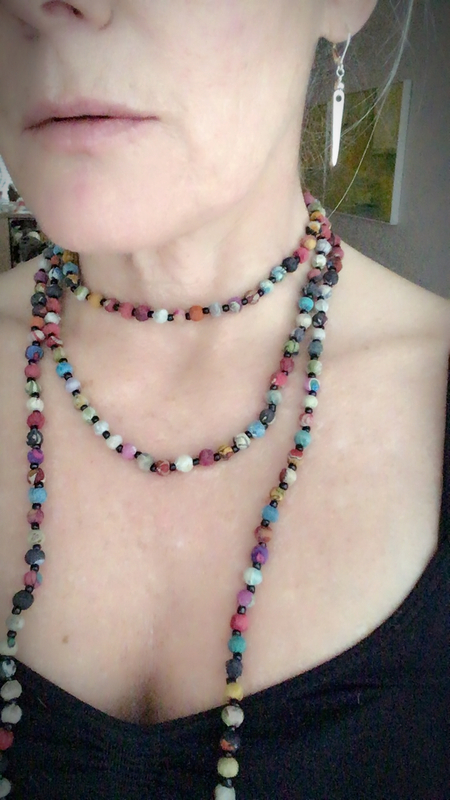 A super versatile piece, this unique necklace is handmade from recycled Kantha textiles, so colors and patterns are all one-of-a-kind. 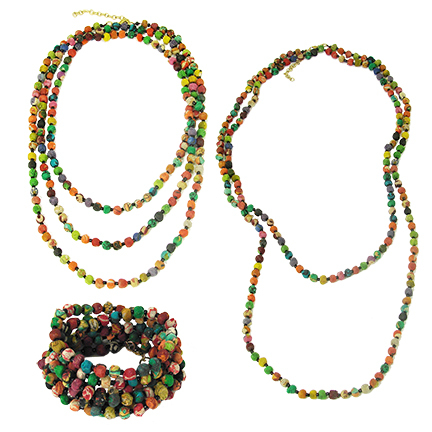 The Kantha Bead Long Necklace features Kantha covered wooden beads strung along a 61” strand. 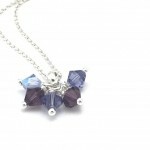 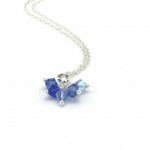 Can be worn as both a necklace or a layered bracelet. 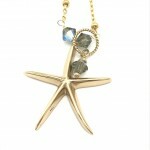 Measures approximately 61” in length plus a 2” extender. 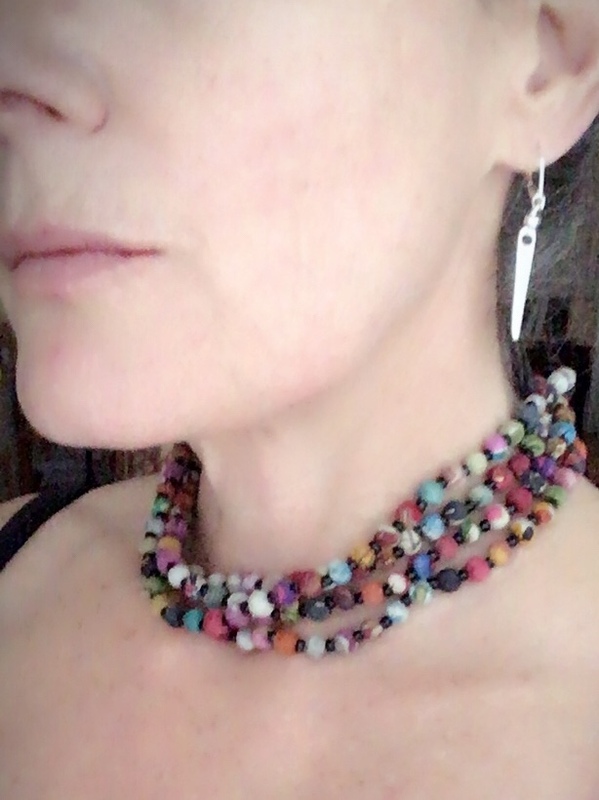 Handmade by low-income women artisans in India, who are improving their lives through their work in a women’s cooperative. 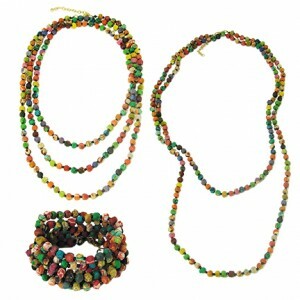 Be the first to review “Kantha Wrap” Click here to cancel reply.